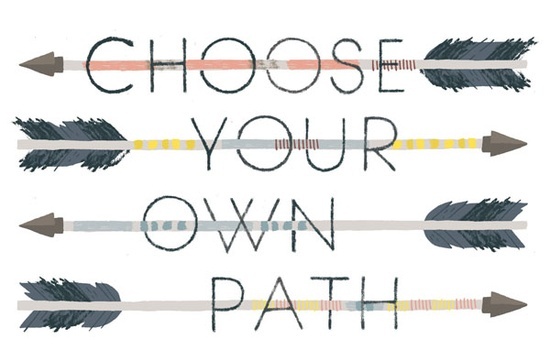 Choose your own path. No more excuses. Just decide to do it and make it happen. It’s that easy. There is no singular path toward achieving the goals you have for yourself– and there are certainly no shortcuts. What kind of career do you want? What kind of legacy do you want to leave behind– an artistic legacy? A philanthropic legacy? When you are standing at the crossroads of life, I guarantee you that the right path is the one that you and you alone make the decision to take. Others may try to point you in one direction, but it is in my experience that personal intuition is always the best guide in unknown territory. As an artist, a thought leader or other kind of creative person, you have most likely already experienced that nagging pull within in you that influences your decisions. For me, that’s my inner artist guiding me towards decisions that benefit its agenda for my life. The worst decisions I ever made were those when I tried to ignore my gut instinct– because I “knew” more than it did. The reality was that I didn’t actually know more than my instincts. We seldom do. Often, it is the fear of the unknown that motivates us to make decisions that are against our will. When you are trying to choose your own path, ask yourself if the reasons you are considering a certain option are reasons that you came up with– or did they come from an outside source? While spouses, partners, friends, family, teachers and coaches can make good advisers; they can often be biased. In truth, it is your feelings that matter most. Your choice to go down a certain path will create a new reality for your life and you have to be okay with it. In order for you to thrive as a creative person, you have to honor your instincts. When you do decide to listen to your instincts, your impulses, and acknowledge your intuition— you own the decision. The path you take becomes YOURS and not “theirs”. No matter what path you decide to travel, there is no guarantee for smooth travel and easy going. But, when push comes to shove and the struggle to achieve your goals begins remember this: it is always easier to lean into the storm when you have decided to be there than it is when you are there against your will. Building a career, whether in the arts or in any field is both a worthy pursuit and a challenge. The pursuit will cause you to make choices, take risks, and fight for what you believe. In music, you face years of criticism, years of disciplined practice, and the challenging of constantly re-inventing your performance while staying relevant to your audience. In the face of so many possible paths from which to choose, the best path is the one you feel good about. Like I said, it really is that simple. Winter can be a great time to jump start your creativity and your sense of artistry. Though it can be tempting to crawl under a blanket until Spring, you will later be glad you put this extra time to good use. We tend to have more time indoors than usual in the winter months and that can offer some great opportunities to exercise your creativity. The first thing you can do to get those creative juices flowing is to do what Julia Cameron calls artist dates. Just because you have to be indoors in the winter doesn’t mean that you have to be in your indoors. Get up, get dressed, and get out of your habitat for the soul purpose of having and artistic experience. You could see a show, listen to a live performance of the symphony, see a ballet, visit a gallery, or loose yourself in an art museum. Do the first thing that pops into your head. But there’s one catch. You need to go have your artist date alone. I really like Cameron’s concept that on this artistic field trip, you are taking your I inner artist on a date. You are there to do what your inner artist wants to do, to spend time with he/she alone— just like on a date with a romantic partner, you will want to listen carefully and pay attention to whatever he/she tells you. You may be saying “That sounds crazy— take yourself on a date… Who the f#%&@ has time to do that? !” Well, I felt the same way at first, but this little action of self care can really get those creative wheels turning. This is a good time for all those little ideas that have been floating around your subconscious to finally get the chance to break through to your awareness. It’s also a good time for you to be quiet, be alone with your thoughts and become aware of how you are feeling. It is good to know yourself and doing so will put you in touch with the artistic side you that wants to express how you feel. If your music, your dance, your words, or your song doesn’t reflect how you are feeling, then it can’t be an authentic creation. Without self-awareness, our ability to work in our given art form may feel forced, contrived, restricted, or the worst of all— like we are faking it. These thoughts and feelings we have are subtle and can change in one direction or another in very small increments. On your artist date, you may find that now that you are finally alone with your thoughts that someone or something has really brought you down. You might have known that person was getting to you, but not until you are alone can you be truly honest about how much so. Or, in this better scenario, the experiences you encounter on your artist date might illuminate in your mind all the beauty that is in the world. 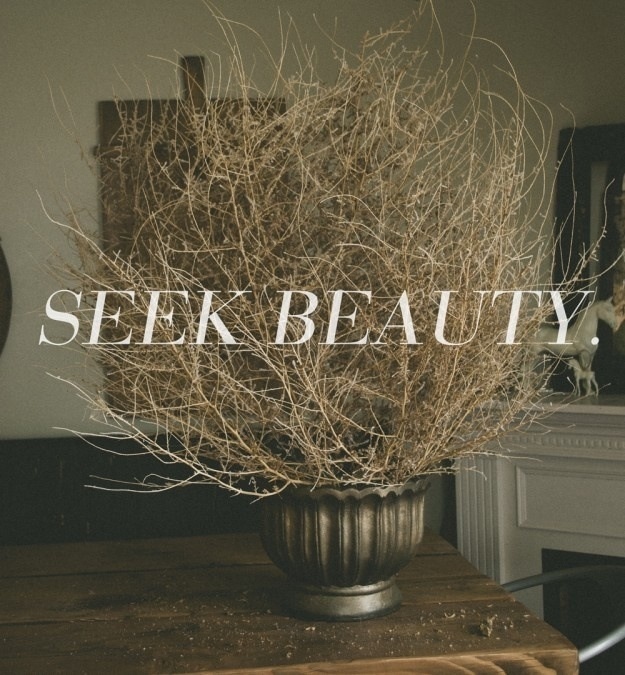 From a grand painting hanging in the MET Museum, to the smile of a newborn baby you happen to glimpse on your train ride to the MET— your artist date can help you to seek out beauty and inspiration in things from that which is most grand to that which is most simple. I like to think of the early winter like a blank notebook, and the artist dates I take are like the bits of pictures and ephemera I cut out of here and there to glue into that notebook. Once you’ve woken up your inner artist and treated he/she with special attention, you might begin to notice trends forming. “Why did I go see the same exhibit of still life paintings three times in a row?” Or you might ask yourself, “What is it about that orchestra that keeps me going back time and time again?” These simple questions which are posed to your inner artist can become creative inquiries that lead to the production of new work or projects. They can jump start your sense of intrigue and discovery. I encourage you to make time for yourself, get out there, and pay attention to your creative self. Be still– and listen closely. Write down what you feel, think about it, dissect it, analyze it, research it– think about how you can express it in your art form. I guarantee that you once you start connecting your art form to the thoughts and emotions in your experience, as an artist, you will be compelled (and motivated) to express them! Now get out there and go! Caught in a Musical Rut? This post will be the first of many which relate to that nebulous and mystical thing: our creative self. Today, I want to take a look at the creative self and ways to ignite your creativity. I have spent the better part of the last three years actively searching to spark my own creative fire after it had shut down from several years of running it into the ground by overuse. I started on this search to find my misplaced creativity, because I was feeling empty and void without the flood of creative ideas with which it had filled my mind my entire life. 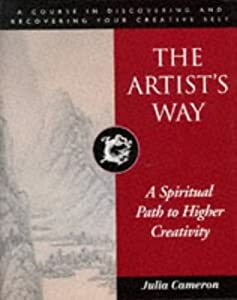 Some of the tips I discovered from various mentors and books (especially the amazing treatise on creativity The Artist’s Way by Julia Cameron). Others I discovered through some serious soul-searching. I believe that each of us have the capacity to be highly creative. Our brains can function in abstract and enormously complex ways! We only know of a fraction of our total brain capacity. So if you follow this train of thought with me, that our “computer” is working properly, then it follows that lack of creativity and imagination is a result from a lack of input for the brain to work with. In short– our flow of creativity has become blocked or dried up. The computer analogy overly simplifies the complexities of being blocked or suffering from a drought of creativity. But take faith in the fact that there are many, many paths you can take to recovery. I believe that the first step is acceptance. It takes bravery and courage to stop beating your head against the wall, or practicing etudes and technical exercises all day long, or spending countless hours wasted in the practice room. It takes bravery to say– it isn’t my technique, it isn’t my dedication, it is the creative spark which lights my fire that has burnt out and is causing me all this grief. When you have realized this, then you can begin the process of becoming unblocked and healing. If you asked me what was the most dominant feeling I had when made this realization midway through my Master’s degree; I would say that it was the feeling of being starved. When I realized that I had not been feeding my creative soul for months and months on end, I felt well; sort of used up. I dove into any and every book I could find about imagination and the creative process and this is when The Artist’s Way fell into my hands. It couldn’t have been more serendipitous. One of the main points that Julia Cameron makes in the book is that we must constantly be feeding our creative selves. I had literally starved my creativity to the point where it was beginning to shut down. As I said before, there are many ways to restoring or improving the health of your personal creativity. I feel though that writing and seeking new experiences were the building blocks of my recovery. The urge to try new things became overwhelming! I began writing poetry that started to pour out of me at random moments while laying in bed or while I was on the train. I was scribbling things down in a horrible chicken scratch just because I wanted to write everything down very fast, before the thought could leave me. I began sitting at the piano (which I don’t play) and somehow improvising large works which I would end up recording for myself because they were so spontaneous I could never hope to reproduce them. One of my good friends Erik Saras and I began tossing around the idea of co-composing a short ballet, and by November, it was being produced by Manhattan School of Music and with dancers from the Juilliard Department of Dance. My wife bought me watercolor classes at the New York Student Art League and as of this week, I will be showing my first watercolor in a public show in the East Village. These experiences allowed me to absorb new techniques and skills, while allowing my brain to experience different thought processes than the ones I had used over and over leading up to my creative block. Once I began to be aware of the needs of my creativity and fed it the new experiences it desired most– that is when my productivity skyrocketed. When you have identified your need to rehabilitate your creativity, the most important thing you can do is listen to your creative self, bring it what it wants, and treat it with respect and the utmost care.